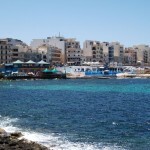 The town of Bugibba is part of the resort of St Paul’s Bay to the north of Malta. 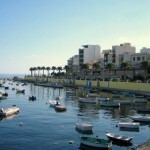 (St Paul’s Bay also includes Qawra.) 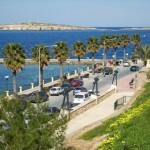 Bugibba’s superb sea views out towards the neighbouring island of Gozo make it popular with visitors all year round. 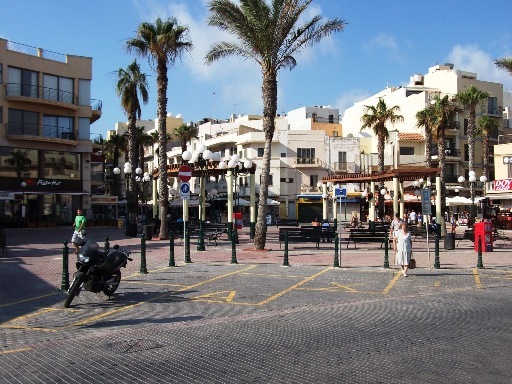 This area has only been a tourist resort for the last 30 years or so but progress has been fast if not a little haphazard as far as layout & construction design are concerned.The area has developed rapidly since that time and now abounds with hotels,restaurants, shops and much more. 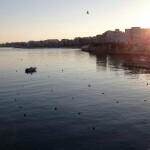 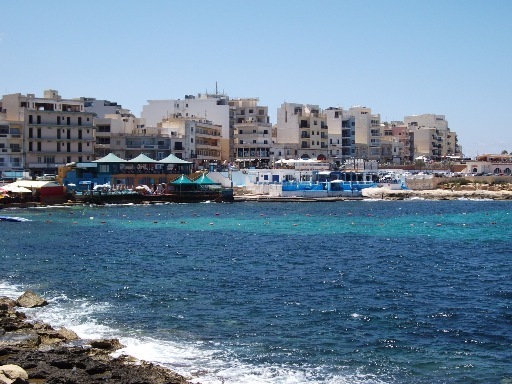 Bugibba is also a large residential area for both Maltese & permanent residents from the UK & other countries. 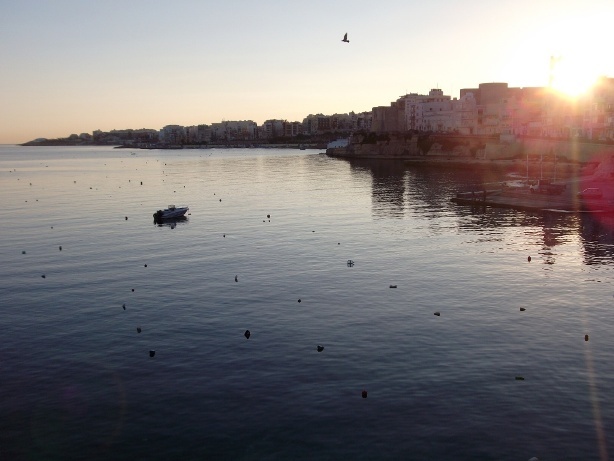 Its coastline is rocky but has many small inlets offering access to the clear, shallow water of the Mediterranean which are all well utilised in the summer months by the local people. 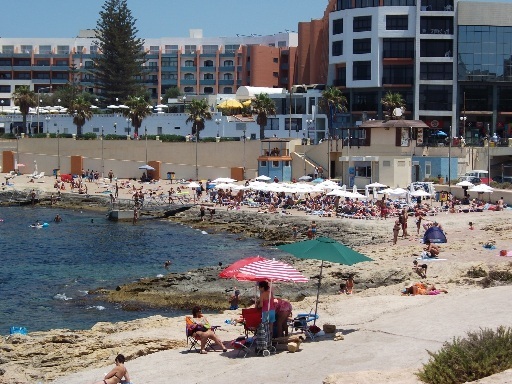 Additionally, a ‘man-made’ beach has been added in Bugibba (see photo right) close to the Dolmen Hotel although access to the sea is still over a rocky shoreline. 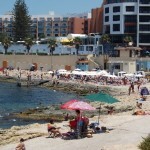 The beach is open between April & October every year. 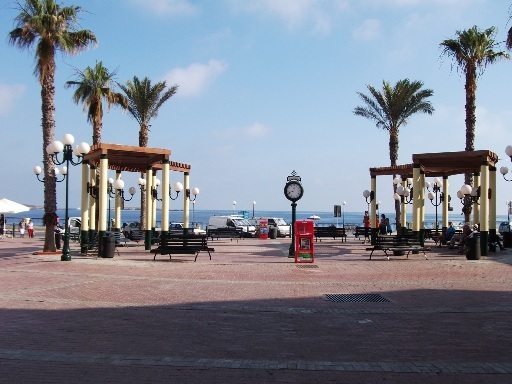 Perhaps Bugibba’s biggest attraction is the main square (Bay Square, see photos this page) along the seafront as it serves as the hub for the shops, bars & restaurants and has the fantastic view which can be enjoyed from many benches arranged in its centre. 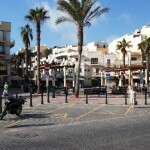 The square comes alive especially at night during the warmer months as the main nightlife in the area is located here. 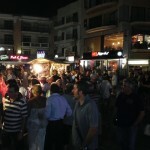 Regular music concerts are also held in the square which attract many visitors. 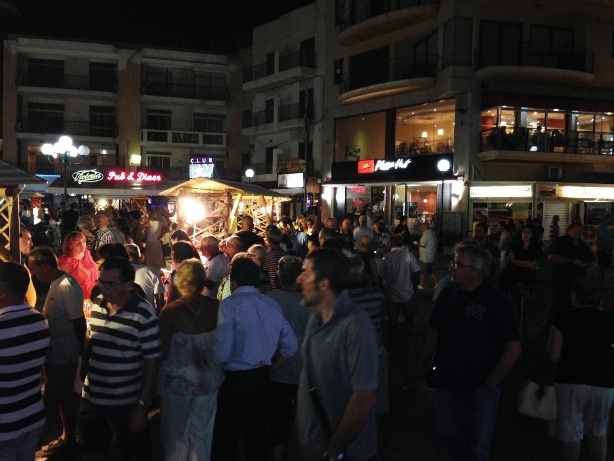 The same can be said for the bigger football events, the European Championships and the World Cup, as big screens are erected here for these too. 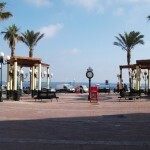 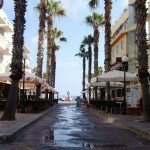 The long promenade extends into St Paul’s Bay to the left from the square and into Qawra from the right. 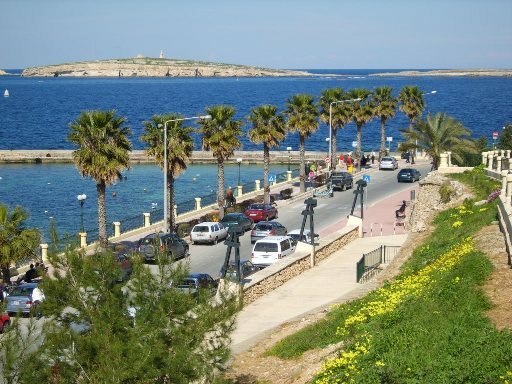 A walk in the left direction will bring visitors to the main jetty from which various boat trips & cruises to Blue Lagoon, Gozo and Valletta’s Grand Harbour depart. 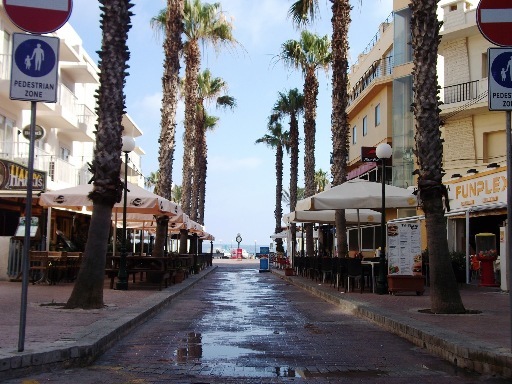 Bugibba abounds with restaurants of every type & is also home to the more recognized brand outlets of both McDonalds & Pizza Hut. 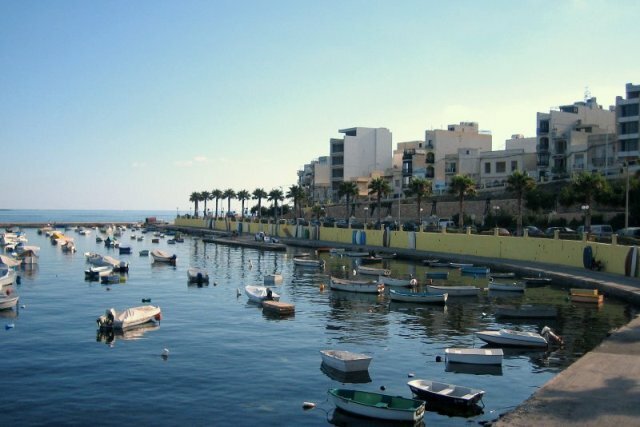 Buses are frequent through Bugibba heading towards Valletta to the south & Mellieha & the Gozo ferry to the north and the main bus terminus is very close by in Qawra.